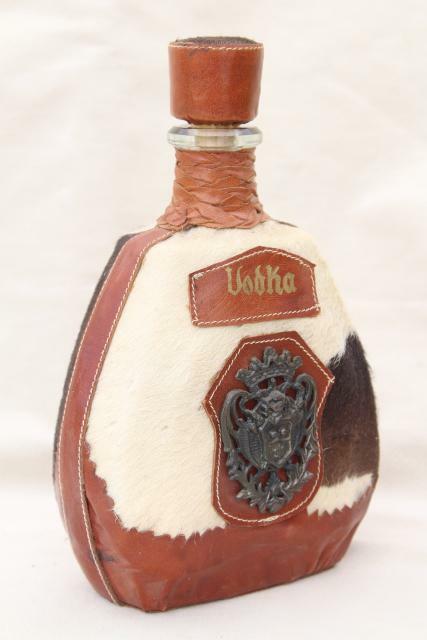 1970s vintage Vodka decanter with a very retro Eastern European boho vibe! 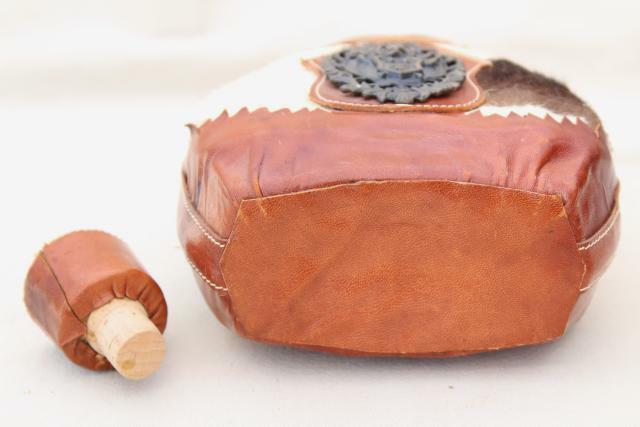 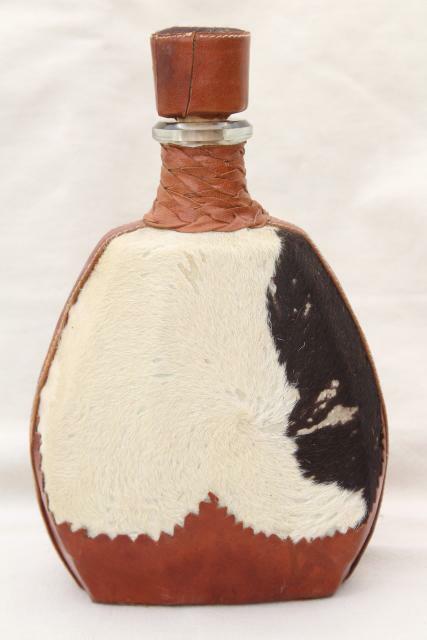 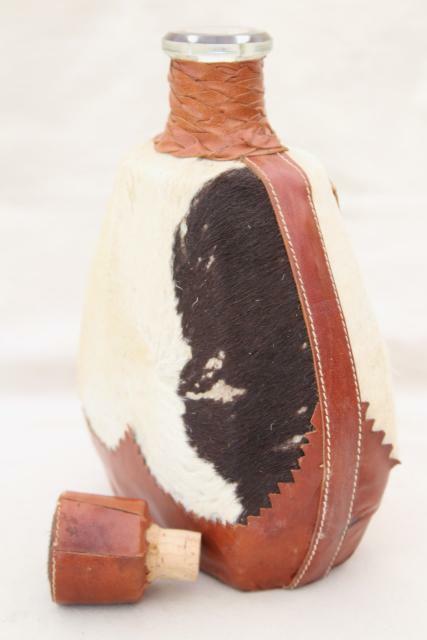 This is a leather wrapped glass bottle, cow hide or horse hide, we think. 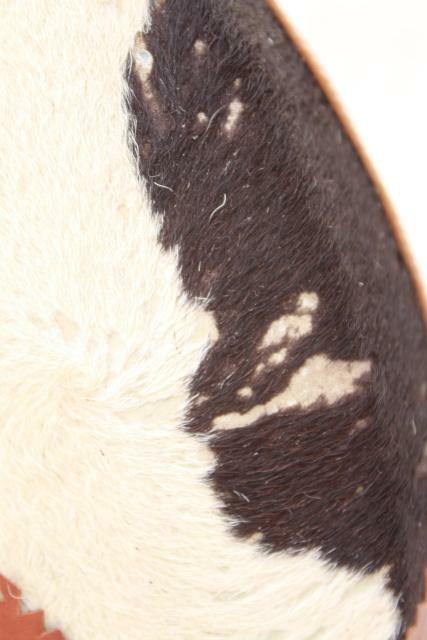 It's not marked that we could find. 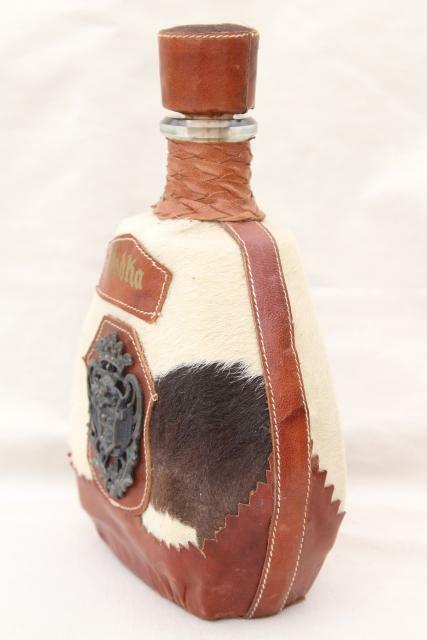 It stands about 9" tall to the top of the stopper. 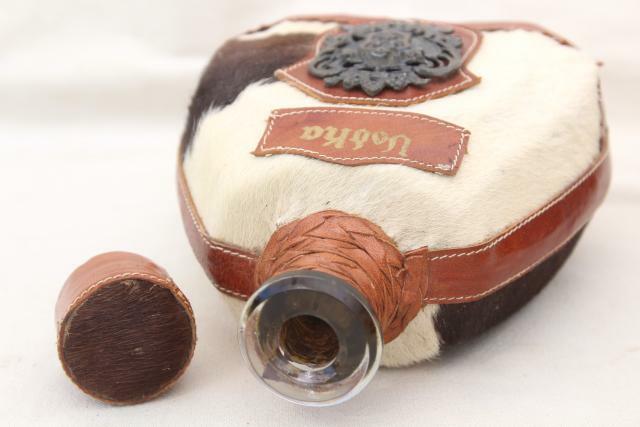 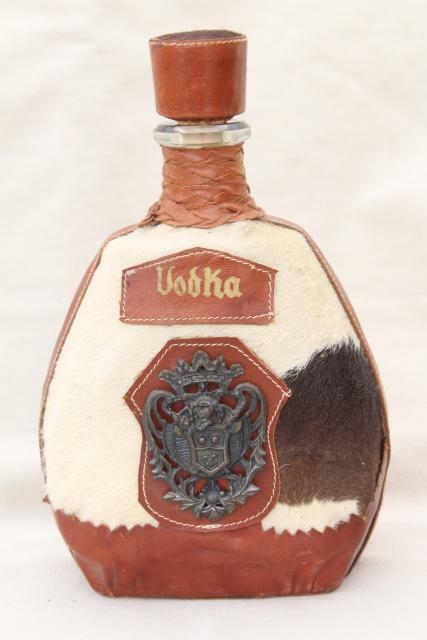 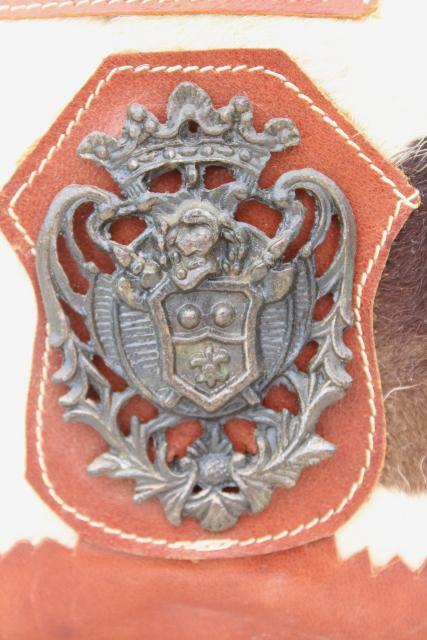 The bottle is in good clean condition, though there's a little wear and rubbing to the fur and leather.